From lunar landscapes to clear blue lagoons and lush tropical forests, Reunion Island is a beguiling travel destination. Here, a giant stirs. 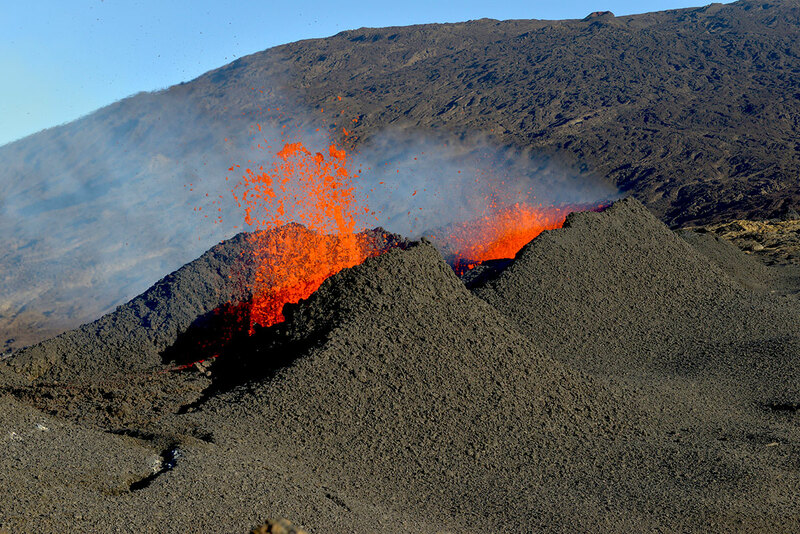 The Piton de la Fournaise – the island’s spectacular volcano – has erupted for the fourth time this year, offering a dramatic sound and light show to lucky visitors. A beacon for researchers as one of the world’s most active volcanoes, the Piton is safe to view and presents no danger to the island, thanks to its position at the heart of the Unesco-protected National Park. 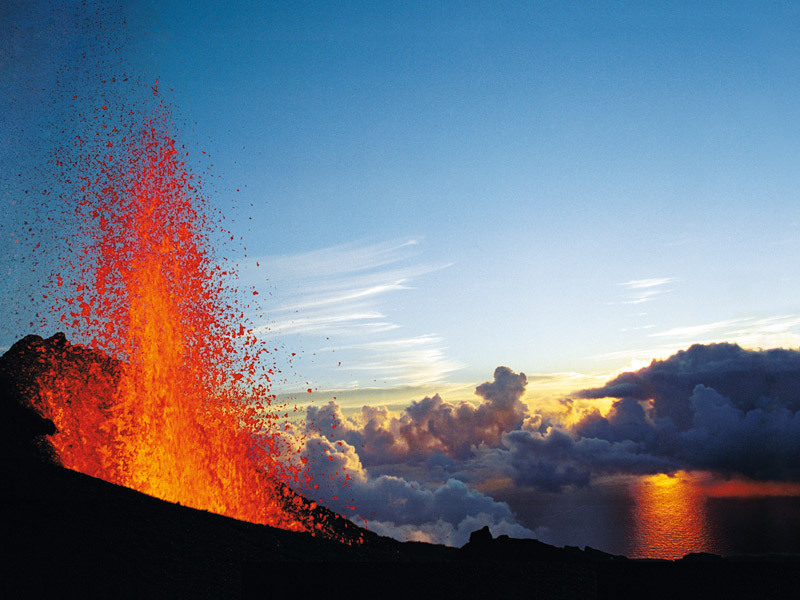 Head to the south-east of the island to watch glowing rivers of lava flowing silently down the mountainside and sizzling into the sea. Sludgy, with a crust like a half-set brownie, the cooled flows take on the air of Martian terrain. For the best vistas of this remarkable landmark, visit the Grand Brûlé region, a rugged stretch of coast that teems with plant life after every eruption, or take to the skies aboard a helicopter or microlight – the best way to the see the island.